Conference Desert Tourism: delineating the fragile edge of development, at Harvard Graduate School of Design, April 5th, 2007. Oases as Socio-ecological Landscapes, The Jerid as an Example. Landscape in danger? Papers and proceedings from this conference will be published: see this article The Saharan Oasis under the Challenge of its Landscape, The Jerid as an Example. © Magali Trautmann, le 30 Mars 2004 (Égypte). The history and the structure themselves of oases recall us this obvious fact: the nature of gardens and palm groves is artificial; to be more precise, anthropic. Surrounded by the desert, oases are usually the combination of agricultural spaces and dwellings. Their existence itself is not necessary, but the quite common shape and structure of these ecosystems in Sahara are answers, to the severe desert pedoclimatic conditions, selected and implemented by generations of gardeners. Therewith, do we circumnavigate the oasis landscape issue? Certainly, oasian landscapes are “built nature”, but we maybe have to find out now by whom they were built… By “local practices”, I do not restrain my analysis to the indigenous practices but I broaden it to the nowadays-effective actors of these spaces. If I illustrate my lecture with the case of Jerid in Tunisia, I have to convene in my analysis actors of tourism and actors of development. All, with local people, converge to define what is an oasis, what “it is for”, how to read these spaces, and this polyphony is not without effect on the share of the resources: water, land, labor and even ideas of the relation to environment. If we focus on tourism, its impact is consequent on many daily local aspects, at first the use of the scarce water (to be used by hotels or to embellish the scenery), the labor (diverted from agriculture), but even on the definition of the oasis: a place to work or a place to stroll? The usual local definition of the garden manages a place for leisure and work unlike European tourists who underestimate the anthropic quality of a palm grove. An ethnoecology of the oasis landscape deals with the cross-actions of practices and narratives of various actors of this specific desert space. The competition on water is obvious: water is needed for agriculture, but is needed too for the tourism sector. Tourism Service officers accord their view with international standards and consider that a swimming-pool is required to satisfy European tourist expectations. In the Jerid, the mayor of Tozeur (the capital of the region) went even further: he offered a golf course in the desert! Along thalassotherapy and cultural tourism, golf is part of the new strategy decided by the Tunisian government to diversify the tourist product. 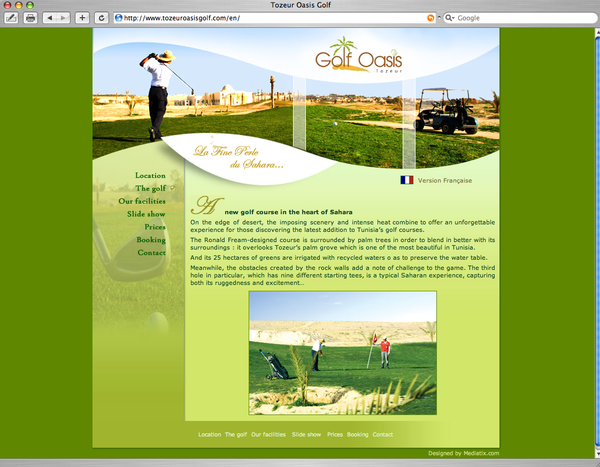 What does the Tozeur Golf website say? The golf course “overlooks Tozeur’s palm grove which is one of the most beautiful in Tunisia. And its 25 hectares of greens are irrigated with recycled waters to preserve the water table.” In two sentences, you have two major points: the posture to the local nature (overlook it! ), and for the sake of tourists’ conscience the ecological concern: water is recycled. This conference on desert tourism seeks to analyze the relationship between tourism and the sustainable development of the populations, architectures and landscapes of arid regions. Its main purpose is to provide a meeting platform for students, academics, researchers, and organizations, which have studied or implemented sustainable tourist projects that integrate the development of their surroundings, to discuss issues raised by desert tourism. Sustainable construction techniques, water management strategies, energy conservation methods, and specific case studies will be presented. Finally, alternative future forms of desert tourism will be projected and discussed. This event is sponsored by Department of Urban Planning and Design. Harvard University, 4-5 April, 2007. Deserts have lost their stigma as inhospitable, inaccessible places and are becoming an ever more popular tourist destination. However, the growth of this niche tourism is raising particular challenges for the desert, jeopardizing its fragile ecosystem and straining its scarce resources, in turn affecting both the landscape and the local population. In effect, the increasing popularity of desert tourism is paradoxically undermining the very notion of its allure and its position as a frontier. In developing countries, the consequences are even more drastic as the local populations, gathered around oases, live in dire conditions with scarce resources and insufficient infrastructure, rarely benefiting from tourism’s economic effects. Furthermore, in the face of rampant modernization and migration, their cultural and architectural heritage is decaying at an alarming speed while new infrastructural needs and settlement patterns are emerging. This conference on desert tourism seeks to analyze the relationship between tourism and the sustainable development of the populations, architectures, and landscapes of arid regions. Its main purpose is to provide a meeting platform for students, academics, researchers, and organizations that have studied or implemented tourist projects that integrate the development of their surroundings, and to discuss issues raised by desert tourism. This article has been read 4524 times. Dernière mise à jour de cette page le Monday 26 December 2011 à 22:41:49. //// -----> Citer cette page? 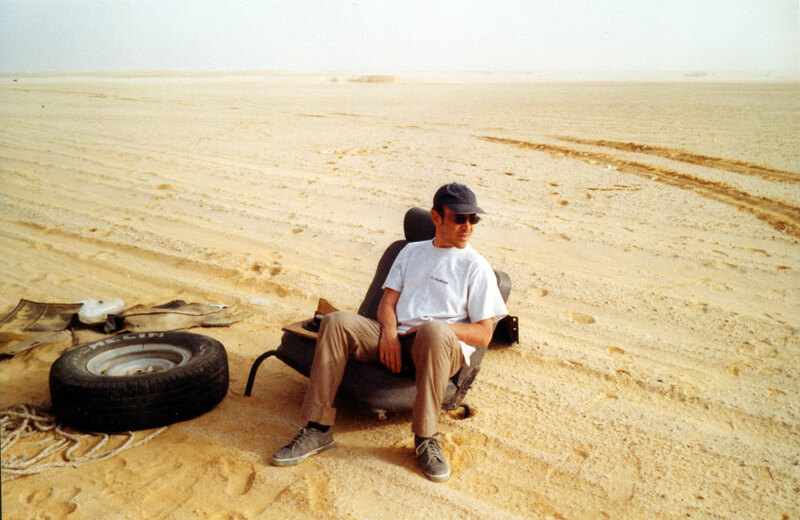 Vincent Battesti, "Oases as Socio-ecological Landscapes, The Jerid as an Example" [en ligne], in vbat.org anthropoasis, page publiée le 5 April 2007 [visitée le 15 April 2019], disponible sur: http://vbat.org/spip.php?article330.